Meet the mountainous metropolis with explosive hobbies and a madcap, reggaeton and salsa-fuelled, nightlife. James Pengelley gets lost in the labyrinth of Colombia’s intriguing capital. If this is what you’re friends are telling you, they made need reminding we’ve entered the new millennium. Colombia is a nation determined to rid itself of the reputation of its recent violent history, and with an increase of foreign visitors from 0.5 million to 1.4 million from 2003 to 2010, the country is well on track to becoming one of South America’s hottest travel destinations. Bogota, the Colombian capital, is its most exciting city and its size might surprise you. With a population of 8.5 million it ranks as the third largest city on the Latin continent after Rio and Sao Paulo. And at 2600 metres above sea level, it is also the 3rd highest capital after La Paz and Quito – so don’t be surprised by the average 14 degree days and curious lack of breath when you get off the plane and start walking up hills. Whether it be the ciclovia (140kms of closed metropolitan roads for cyclists and pedestrians every Sunday and festivo), or one of the largest cycleway networks in any city in the world (over 300km worth), or the collection of museums in the city centre that open their doors for free on the last Sunday of every month, or the annual Rock al Parque concert which is currently the 3rd largest free open air festival in the world, or simply the bohemian vibe that comes from a unique blend of colonial-urban grunge and uber-rich European chic – Bogota is a city that will entertain, fascinate and shock you, all in one. 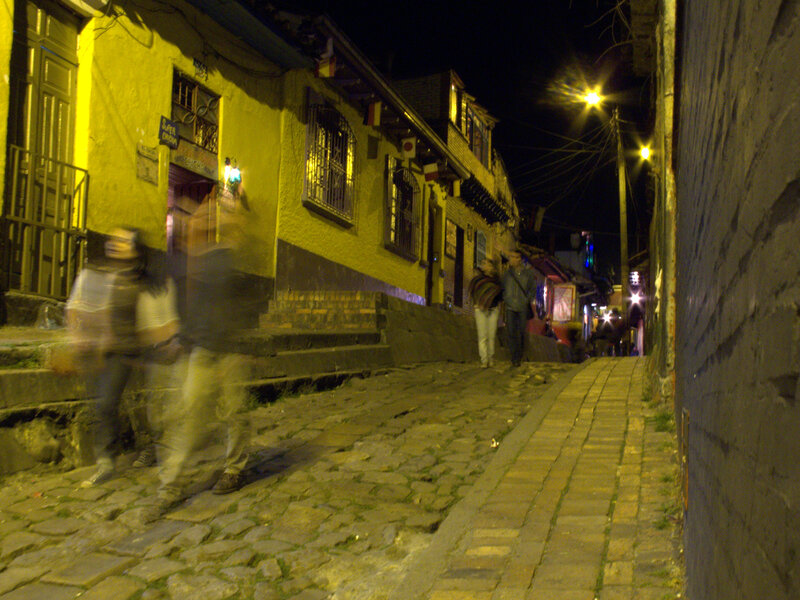 Upon arriving in Bogota there are two places that will inevitably capture your curiosity: La Candelaria and Monseratte. La Candelaria is the colonial historic centre of the city. Restored buildings and houses painted in an array of faded pastels that date back to the 1500s and a sprinkling of the country’s best universities make this barrio the ideal base for most travellers. Start your adventure in front of the Colombian Senate, in Plaza Bolivar, head north along la septima (aka Carrera 7) to el Museo del Oro for a lesson in the importance of gold to pre-Hispanic cultures. After head east to Parque de los Periodistas, and take in the stunning views of the mountains. Head back along la quarta (aka Carrera 4) and stop in at the Bogota Beer Company for a cheeky pint, or if you’re up for something a little more “local” try Doña Ceci’s just across the road (Wednesdays through Fridays are most popular); and when you’re done continue south to the excellent Botero Museum, for works by the eponymous artist, on calle 11. Free entry! Residing over the urban sprawl, atop the aforementioned Montserrate mountain that lines the eastern border of the city, is La Iglesia de Monseratte. A sacred point of pilgrimmage, the white church on the hilltop is also one of the only places you can access without a car that will give you a true perspective of the scale of Bogota. You can catch the funicular to the top, or walk (path is open until 4pm everyday except Tuesday). In the north of the city, Usaquen is home to one of the city’s most interesting and diverse flea markets on Sunday mornings. Bring your camera and an empty stomach. Catch any of the small buses, known as colectivos, marked Usaquen that go up Carrera 4 and 10 (la septima is closed for the ciclovia on Sundays). …And 1.5 hours away by bus is one of the country’s most famous tourist attractions, the stunning Salt Cathedral in Zipaquira (check the link for our Photo Story). The bohemian barrio of La Macarena is home to a collection of funky boutiques and interesting international restaurants, as well as the city’s recently retired bullfighting ring, La Santamaria, which is next to the planetarium. If you’re heading that way from La Candelaria continue along la quarta to calle 33 and enjoy the spectacular views of the city from Parque Nacional. Even cooler for school is the area surrounding Plaza del Chorro de Quevedo, claimed to be the original site of the foundation of Bogota in the 1500’s. On most weeknights, especially Wednesday through Friday, students from the surrounding universities, artists and street theatre troupes fill the pokey bars that line the cobbled alley that runs down the hill to join carrera 2. If you’re feeling game, try a glass of chicha. There is a pretty good chance that opportunistic “entrepreneurs” will approach you peddling coca or marihuana (also called creepy). Two places you won’t see in your guide book are San Andrecito and el Mercado de Paloquemao. San Andrecito (in and around Carrera 18 and calle 12) is… well… hard to describe. Literally “little San Andres” (after Colombia’s Caribbean, tax-free territory which lies off the north coast) San Andrecito is crammed full of tax-free goods including booze and a bit of an insight into the chaotic business dealings that is the norm for the majority of the population in the developing world. Expect to pay in the region of $15,000 COP ($7.50) for una botella de ron “Abuelo” from Panama, or if your quality beer taste buds are craving something more than the standard latino largers – a variety of European imports for around $7,000-10,000 COP ($3 – $5). Make sure you double check that your bottle is unopened and sealed before handing over your cash. Paloquemao is the source of the city’s fresh produce and well worth a visit to get an idea of the range of tropical fruits available in Colombia. Fruits worth trying include lulo, guanabana, platano (verde or the sweeter maduro), burujo and granadilla. The market is open from 3am to about 3pm, get there early an check out the stunning flower market in the front car park and then pop inside for breakfast and a fruit juice, which may very well change your life. The festivales al parque series is definitely something to watch out for, and very clear indication that investment in human capital, culture and the arts is something that Bogotanos value highly. Established in 1995, the series features styles from opera (November) to jazz (September) to salsa (August) and hip hop, with the largest, rock al parque (July), pulling crows in excess of 330,000 people each year. And best of all, they’re all free. Dates vary from year to year, but a quick Google will easily provide the latest programmes and information. One of the most notable features of Bogota’s urban landscape is the prolific amount of street art which is fostered by a very tolerant and accepting attitude to the arts, with artists such a Pez, Toxicomano and DJ Lu becoming recognised names across the city. Christian Petersen runs walking graffiti tours in English only on Tuesdays and Saturdays in return for a voluntary donation. 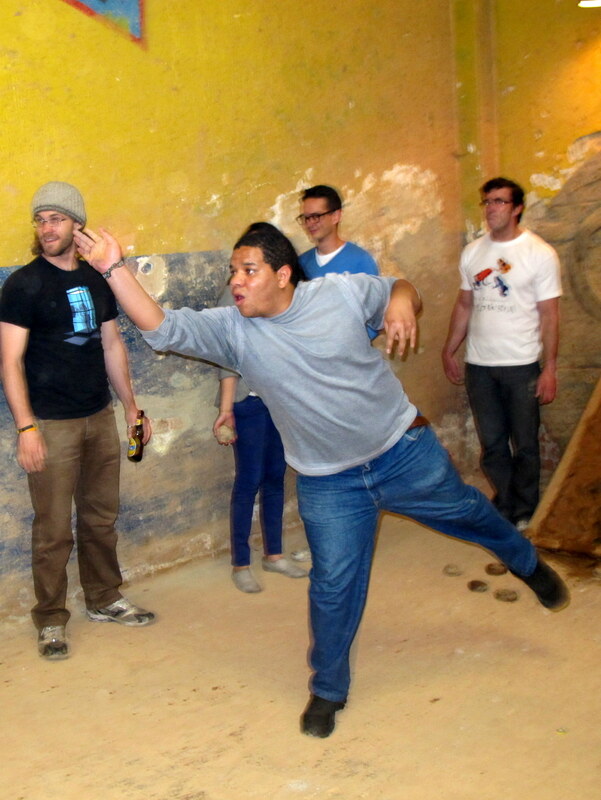 Only in Colombia could you mix explosives and beer and create a national sport: Tejo. Players throw lead weights at a paper envelopes filled with gunpowder that are embedded in a clay target about 20 metres away. It’s about as much fun as you’ll ever have, as long as you don’t suffer from extreme anxiety or a heart condition, and most places only charge you for the beer you drink while you play. There is one cancha de tejo on calle 20 between carrera 8 and carrera 9. 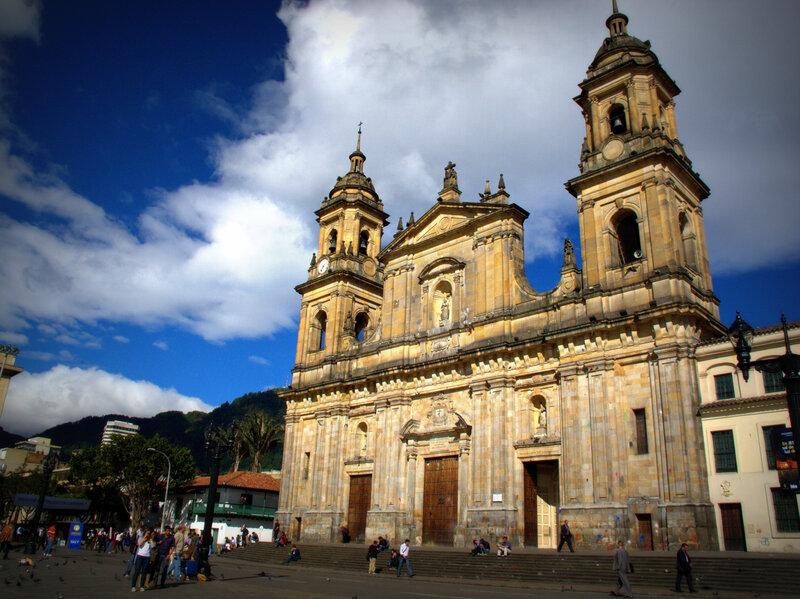 Nearly all of the budget accommodation in Bogota is located in La Candelaria. Platypus Hostel has bright rooms and a seriously cute little courtyard; Musicology Hostel is an eco and socially responsible choice, with dorms and private rooms for budget travellers; Masaya is another eco-friendly choice set in a colonial building and as well as $10 a night dorm beds you can opt for a bit of R and R in privacy ($50). More upscale and Hotel de la Opera occupies a beautifully renovated building on the corner of calle 10 and carrera 6, opposite the former residence of Simon Bolivar. (Notice the plaque on the wall beneath the very window through which Bolivar jumped to escape an assassination attempt). 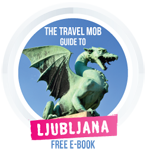 Most of the international hotel chains are situated in the north of the city, closer to the financial district. Lunch is the biggest meal of the day in Colombia, and a typical almuerzo (three course meal including soup, grilled meat and dessert) will set you back $5,000 – $10,000 COP. Try Kaffarte for great value. And if you come to Bogota and don’t try the street food you are missing out. Keep your eyes out for arepas rellenas (stuffed corn pancakes), hormigas culonas (literally: big-arsed fried ants) and empanadas; whilst fresh fruit is also a major feature of food stalls. Other local treats include ajiaco (potato soup with chicken, cream and capers) and bandeja paisa (beans, minced meat, rice, egg, sweet plantain and blood sausage). 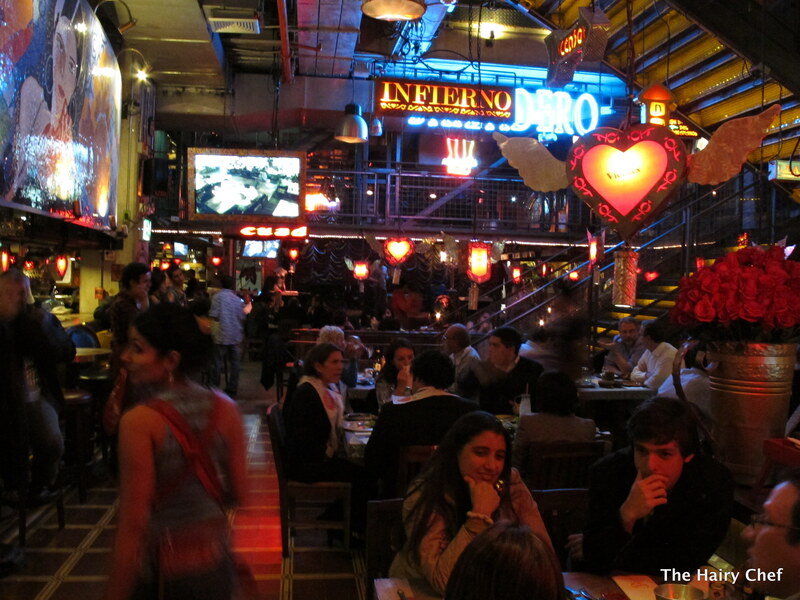 For upscale evening dining Andres Carne de Res is a Bogotano icon and a must-visit for steak-o-philes. Expect to pay upwards of $25,000 for a main, but remember you are paying for the experience – and don’t forget to don your dancing shoes. While if it’s international gourmet you’re after, then the district of Zona G is the place to head. 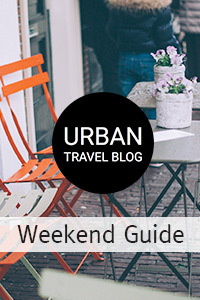 You will never struggle to find nightlife and entertainment options in Bogota. 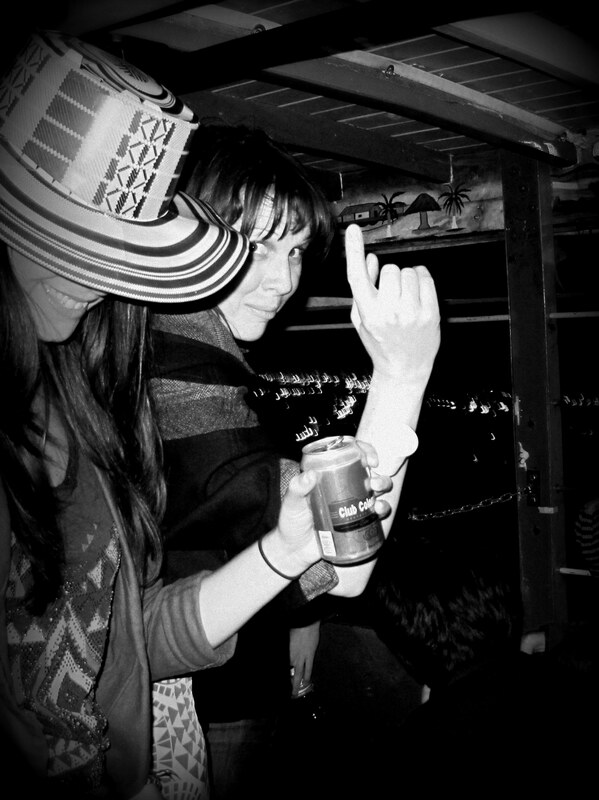 Weeknights tend to draw student crowds, especially in bars near El Chorro and throughout La Candelaria and in the small side streets and jazz bars of Chapinero. As long as you come prepared to dance, or at least be shown how to dance, you can’t go wrong. Salsa is somewhat of a religion in Colombia and it is well worth taking a class or two while you’re here: Punta y Taco comes highly recommended. Most places will play an energising mix of salsa, reggaeton and more mainstream dance music. El Gato is a great little bar in Chapinero, or for something more central try Quiebracanto (Carrera 5 and calle 17) or Casa del Duende (calle 12b and carrera 5). If you’re in the mood to kick it with the beautiful crowd Zona T, in the north of the city, is the place to be seen. Expect to pay up to 10,000 Colombian pesos ($6) for a beer. Chivas, rickety open-air buses used in the countryside, can be hired for parties if you can get a group together and tours often include a bottle of aguardiente and snacks, an overdose of salsa and reggaeton, a trip through Zona T and up to the mirador in the mountains, and excessive use of LED lighting. Nonetheless, an inappropriately fun way to get a flavor for the Colombian rumba. Most major European airlines fly through Madrid, while Miami and Fort Lauterdale are major connecting airports in the north American continent. For international flights try Iberia and American Airlines. Most flights to other Latin destinations are served by Avianca, Colombia’s national carrier, LAN and Copa Airlines. Colombia was recently introduced to the wonder of budget air travel, and in early 2012, Viva Colombia was born. The airline is based in Medellin with connections to Bogota, Cali and Cartagena. Suddenly the prospect of saving $30 on a 15 hour night bus ride across two mountain ranges doesn’t seem like such a great idea, does it? For the more robust travellers, there is always the 72 hour bus ride to Quito. The government’s tourism board recently launched the Official Blogger campaign which showcases some of the best Colombian related blogs in English, Spanish, German, Portuguese and French. Amongst the most popular are: The Hairy Chef (this author’s own blog!) and See Colombia Travel. 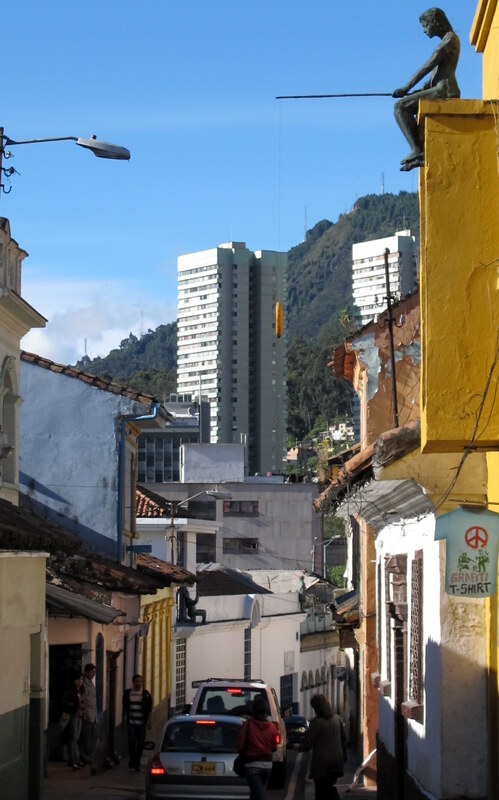 Short Walks from Bogota, by Tom Feiling, gives some alternative choices for getting around Colombia and getting out of Bogota while shedding some light on the political and social context of modern Colombia. Or for a more digestable run down, try 20 things you probably didn’t know about Colombia. …or simply tune in to Tropicana en la manana, just like everyone else in town. There’s really so much to see and do in Colombia. It longer has the same reputation as it used to years before.